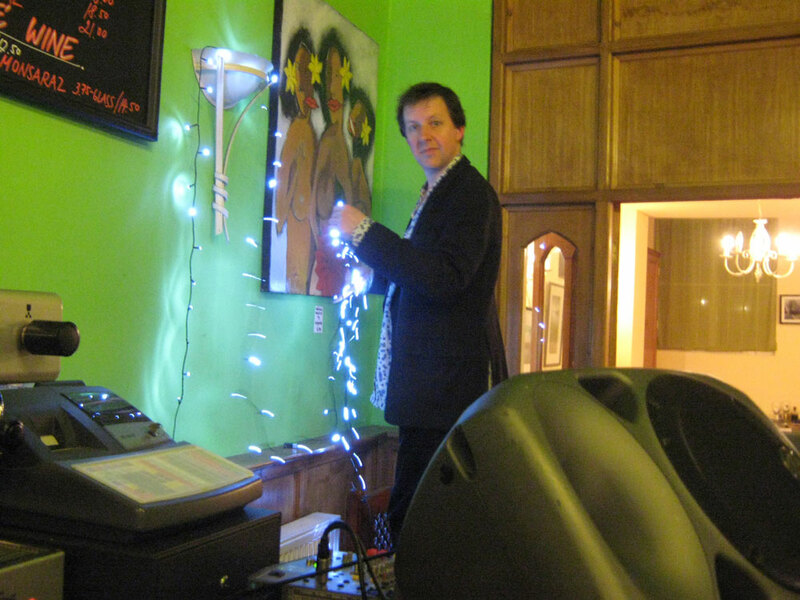 Andy adds a little sparkle to the occasion as we set up for a jazz and sea-food themed evening at Quayside Plaza in Great Yarmouth last Saturday. Phosphorescence? Eastern Straynotes do try to add a little colour to their performances. We usually use rather larger lights than these but if you visit Angelo's excellent, but not especially large, establishment you will see why we scaled them down.